Legrand and Samsung decided to reinforce the customer experience in hotel business thanks to connected solutions. The advantages are multiple to improve the hotel guests’ comfort and to optimize the work of hotelkeepers and of their employees. Hotel guests are now looking for new and differentiated experiences during their stay. 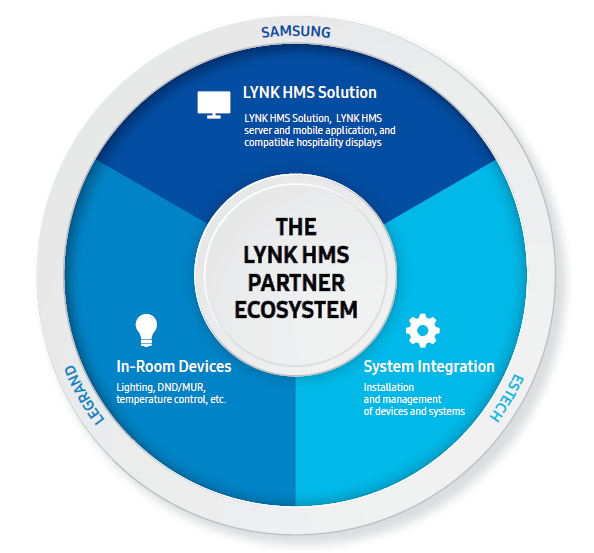 LYNK HMS provides a convenient and premium system to fit their needs. 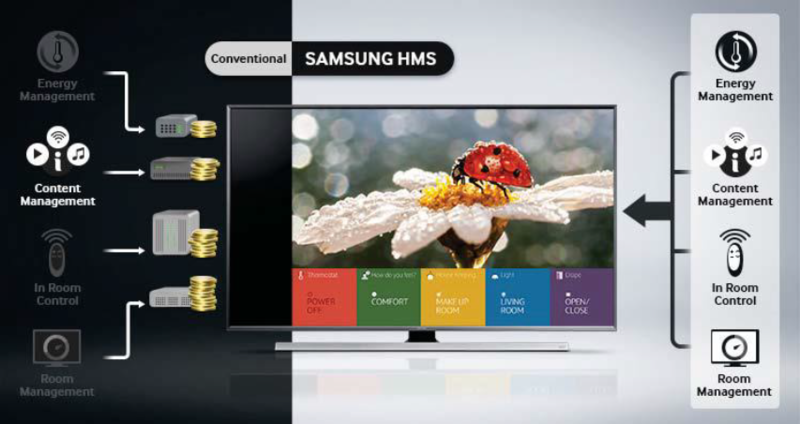 This solution allows the range of Samsung’s hotel TVs to become a control and management hub. Via an intuitive interface directly integrated on the television, users can access many services with their remote control. For now, users can control the lightning, the temperature of the room and the door opening. With time, many other services will aggregate the solution. Users will be able to directly manage janitorial services, taxi reservation, VOD rental and so on. 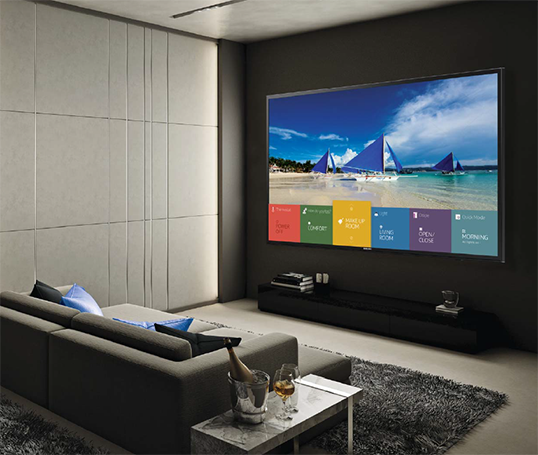 Guests can manage various aspects like lightning or temperature through a user-friendly interface on their TV. 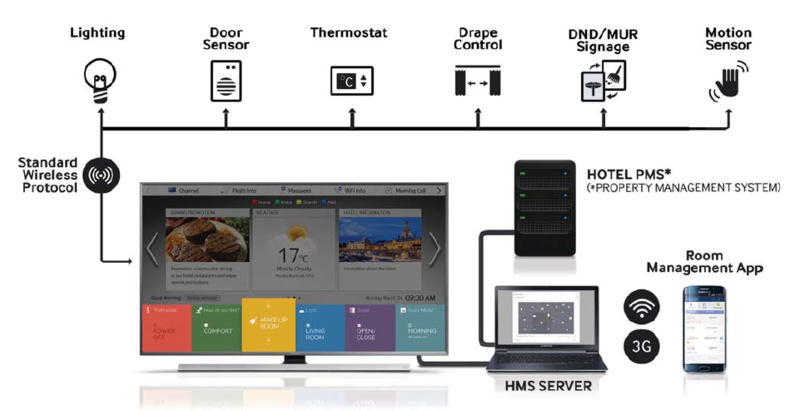 With the In-Room Control (IRC), a software dedicated to the creation of ideal room environment, users are involved in their room experience. The Content Management Solution (CMS) allows hotelkeepers to design and deliver custom content. Guests can then access enhanced services like web-based applications. It is now easier to streamline the hotel staff workflow thanks to the Room Management System (RMS). Maintenance workers are now able to know, through their smartphones and in real-time, when a room is empty and if they can enter to work in it. A smart Energy Management System (EMS) is based on sensor to determine the occupancy of a room. HVAC systems can be managed automatically in order to increase energetic efficiency. On Legrand’s side, we provide all the electric connected devices of the room. They are compatible with Samsung’s solution and follow Zigbee wireless international standard. They cover all kind of devices needed in an hotel room: switches, plugs, thermostat, keycard reader, keycard holder, all of them manageable thanks to Samsung TV. In addition to the predefined programs proposed on the TV screen, new ones can be added depending on the needs. For example, an “I am working” scenario can turn on the lamp of a desk, soften the other lights and a notification “Do not disturb” appears on the entry door. In this video, different people involved in this collaboration are talking about the added value brought by the IoT field. They show us how they defined the needs of hotel’s guests and which solution they can offer. Finally, we can see the result: a room built with all the technologies coming from this collaboration.